Kirby is a well-respected and trusted household brand with a reputation for providing quality, reliability and a cost-effective home cleaning solutions. At the very heart of this is their range of Kirby vacuum bags, specially designed and manufactured to meet a variety of needs and budgets with their top-of-the-line HEPA filtration right down to their far more budget-conscious filter bags. Let’s delve in and take a look at the full range of Kirby vacuum cleaner bags and explore just how the company has managed to corner the market in supplying genuine, HEPA filter bags. The range also further delivers with its unbeatable prices and the products have genuine universal appeal. So much so that Kirby can be found in homes all around the world, especially for lifestyle conscious families who are looking after their family’s health and want to provide an allergen-free environment. 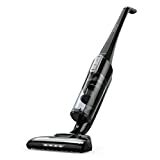 They do more than make exceptional vacuum cleaners that have become the stuff of legend! They care about you and your home to such an extent that they have created a system that provides unparalleled protection, especially from micro-allergens. 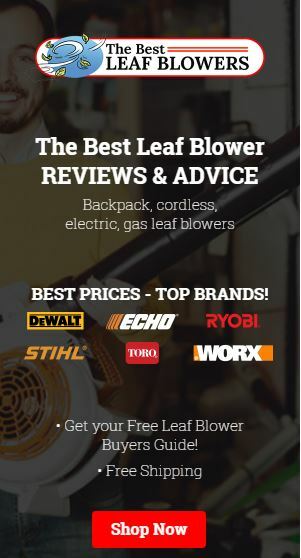 From the vacuum system itself to the shampoos that can be used on carpets, rugs, and furniture, to their allergen reducing series of HEPA filter bags, this brand is one that you can trust. You invest a lot in your home over the years and so it makes sense that you should do everything in your power to protect that investment. Not just the precious contents of your home, but the essential and practical items like your carpets, floors and even your furniture. Kirby has been thoughtfully and consciously innovating their products for over a 100 years. Customers who purchase an Avalir system or other legendary products and vacuum parts from Kirby can benefit from a truly exceptional clean. Most other household brands just can’t deliver what a genuine Kirby vacuum can. What is so special and unique about Kirby and their Vacuum Bags style? They seriously care about their customers and believe that you should only buy them once. That’s why they exclusively offer a Lifetime Rebuild Program designed to ensure that your cleaning system keeps running strong for many years to come. In fact, so many years that Kirby is a bit of an institution with many families passing their system down through the generations. When we said it’s the stuff of legend, we really did mean it. All their systems like the Avalir are also manufactured to actively improve air quality. This makes them the perfect choice for any families with small children and pets. The patented Kirby Micron Magic HEPA(1) filtration actively traps allergenic particles, so they don’t bother you or your loved ones. 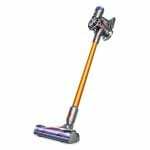 The Kirby style provides unparalleled levels of versatility too, with their system converting from an upright canister to a handheld and expanding even further to allow for carpet and furniture cleaning, not to mention floor polishing as well as tile and grout scrubbing. With over 100 years of American manufacturing innovation, Kirby models are built to last a lifetime, but they are also compact, light-weight and super easy to use. You’ve invested in a Kirby system, let’s take a look at their vacuum bags and different styles. What they are is a Duraflow, high-filtration bag that has been tested and proven to last up to 50% longer than a paper equivalent. That’s quite some staying power. The Kirby Allergen is one of their most popular and it’s so easy to see why. The bags work to reduce a host of common household allergens including pollen, dust and other unseen allergen producing particles. 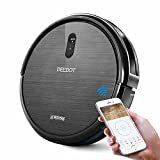 They work on the basis of electrostatic energy and trap particles even after they have been picked up from your floor. 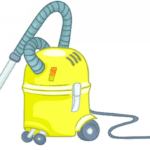 They are designed to keep those unwanted dust and dirt particles inside your Kirby vacuum system and not back floating around in the air where they can still affect your family. These particular ones work with both F-style and Twist-style adapters and provide exceptional performance. Always ensure that you regularly replace your filter bag to continue to maintain maximum performance and cleaning results and always replace before the dirt reaches the clearly marked full line. These Duraflow bags are particularly convenient for any homeowners who have pets, especially cats and dogs. They have been additionally manufactured to feature a charcoal layer which is brilliant at helping to neutralize any unwanted odors. You may well love your cat and dog, but chances are you don’t want your house to overwhelmingly smell of them. 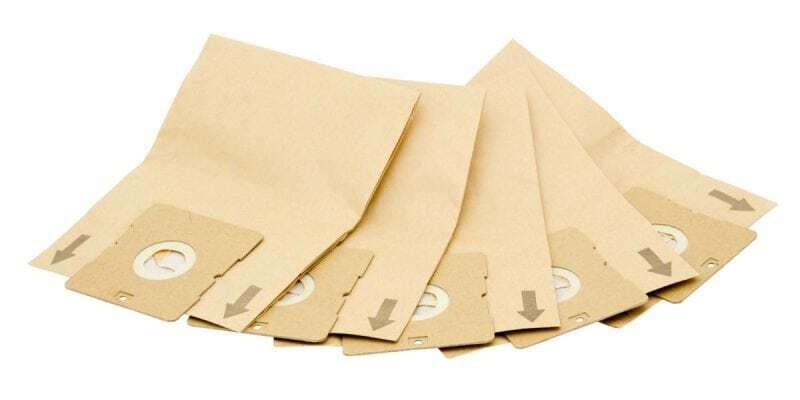 If you are looking for the Kirby universal cloth vacuum bags, you can find them here. These special made ones fit both older models and newer models with the “securing tabs” on the connector. Let’s take a look next at the Micro Magic HEPA Filter Plus from Kirby. What’s unique about these Micron Magic HEPA filters is that they really do offer maximum filtration for your investment. 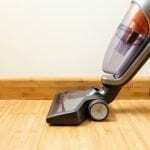 Let’s face it, a Kirby system is a considerable purchase, and while other cleaners might do an adequate job of cleaning up dirt and debris, they also allow a lot of it to seep back out into the environment. 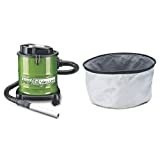 With the Micron Magic bags, you know that this won’t happen and that the pet hair, odors, dander, and dirt you vacuum up will remain hygienically and safely trapped inside your disposable filter. This ensures the cleaning up is a breeze and that you can be as efficient as possible. They are especially useful for any owners of pets and will help ensure your home smells fresh as well as being clean. Again, they are manufactured from an electrostatically charged material that targets and traps micron particle matter. They also happen to be 100% genuine Kirby official filter bags so will work perfectly with your system. Finally, let’s take a look at the Micron Magic filers with Charcoal Filtration. Why are Kirby Vacuum Bags so good? 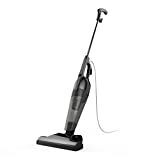 If you have invested in a Genuine Kirby vacuum cleaner, then the bags are a small price to pay for on-going peace of mind, and they really have been thoughtfully designed to get the absolute best out of your system. 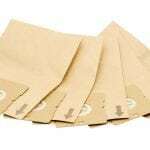 They are genuine and original high filtration HEPA dust bags that work like magic to minimize the dust, pollen, mites, and other air born particles. With their patented electrostatically charged material, they trap all manner of micron particles to ensure a cleaner, fresher and more hygienic home. It really couldn’t be easier to maintain a clean and odorless home if you are using any one of the appropriate Kirby vacuum bags. The bags for Kirby are cost effective and convenient and so easy to change. They also help to maintain the efficiency and the performance of your cleaner itself. If you are spending all that money on a system, then you really should get the right bags for the job too. If you are interested in your family’s health, even if you don’t have a child with allergies, then these bags are nothing short of a miracle. If you do have children with sensitivities, then you have no excuse, and you really should be investing in these allergen-minimizing vacuum bags. All of the currently available range of bags should fit both F and Twist-style Kirby models, including their popular Sentria 1 and two models. All round they help to create a more fragrant living space, and for owners of pets, they really are a must-have. They work hard to remove and trap pet hair and dander but also very effectively minimize and reduce unwanted odors. We can’t recommend this series of vacuum bags enough.